Open Robotics is a student robotics team that aims to increase robotics knowledge through free training, online resources, and public demonstrations. 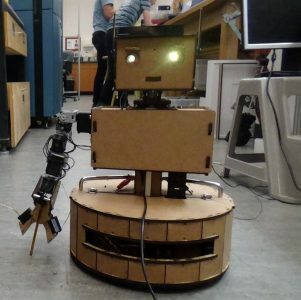 The team’s main project is a full-size domestic assistive robot, however the team supports smaller robotics projects with prototyping resources, robotics components, and mentorship. 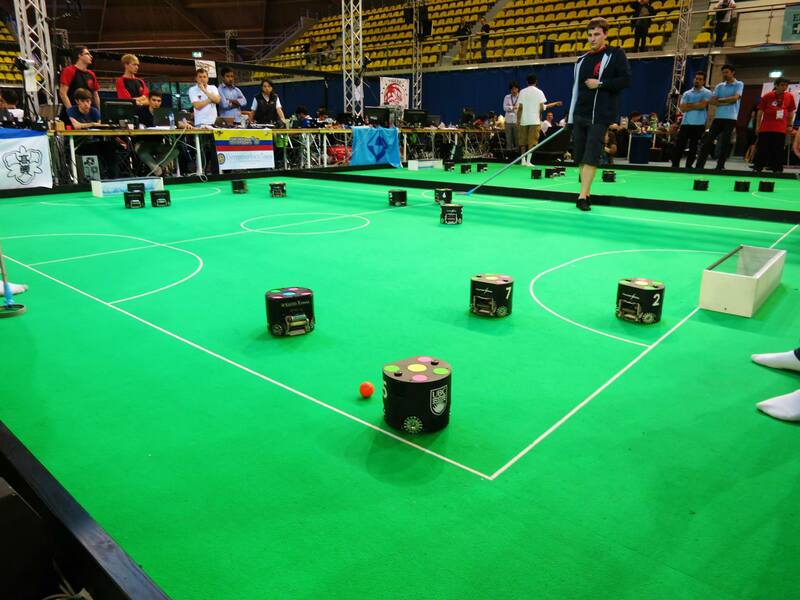 The team plans to compete in robocup@home in 2018. Snowbots research and design autonomous vehicles ranging from self-driving cars to automatic snowplows. All vehicles designed require no human input for operation. They currently go to the Intelligent Ground Vehicle Competition in Michigan and the Institute of Navigation Autonomous Snowplow Competition in Minnesota. Thunderbots FC are football club of soccer playing robots. Designed and built to be autonomous, the robots, as a team, can carry out plays and strategies and recognize each other on the playing field. 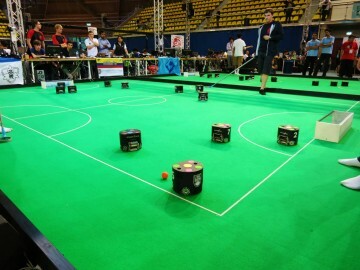 They play in the RoboCup Soccer Small Size League which is hosted all over the world! UBC Unmanned Aircraft Systems (UAS) is an undergraduate aerial robotics team that develops autonomous drones and their associated support systems capable of performing missions such as search and rescue, wildlife survey, and law enforcement. The team consists of members from a range of engineering disciplines including electrical, computer, and mechanical, and other disciplines including computer science, physics, and forestry. 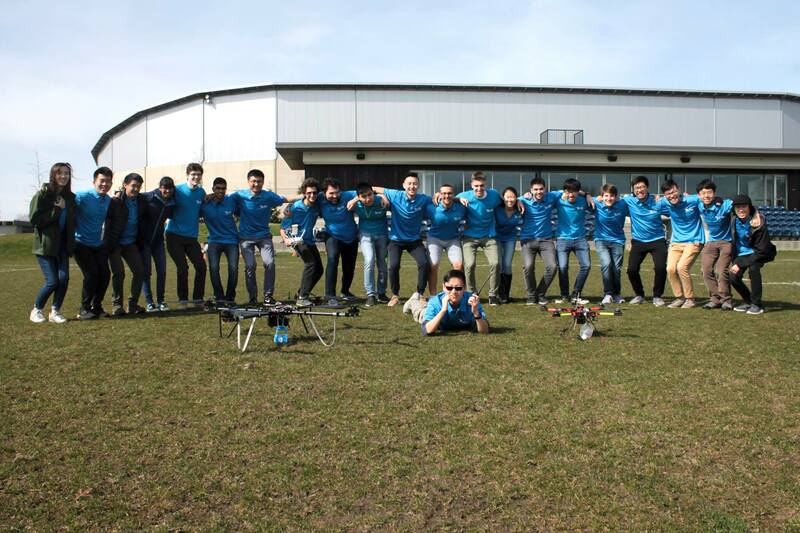 We are one of the top UAV teams in Canada, competing in the annual Unmanned System Canada (USC) competition against Canada’s top universities, placing 3rd in 2018 and winning innovation awards in previous years. We also competed in the Association for Unmanned Vehicle Systems International Student Unmanned Aerial Systems (AUVSI SUAS) competition against over 60 teams from across the world. To learn more about our projects and receive updates, follow us on Facebook and Instagram!